It's the most wonderful time of the YEAR!!!!! I've been celebrating the holiday season since before Thanksgiving! LOL I just can't help it! I am so excited to be spending my 3rd Christmas with Ocean Eyes in Denver. Over the past three years, we've developed some fun holiday traditions and this year we are really refining them! Here are my favorite ways to create Christmas memories with my him and my friends! 1. Decorating the house. This is a just me tradition, but he likes the end product! The day after Thanksgiving, I bring down the Christmas box. I've gotten everything into one plastic tub! We have a small little fake tree that fits perfectly in its designated spot and I love decorating it and the rest of the living room with just a few of my favorite things. 2. Christmas Lights. My first year in Denver, my squad and I went to the Botanical Gardens light display, last year Ocean Eyes and I went to the Denver Zoo lights! I LOVE going out in the cold-ish weather, sipping hot chocolate and merrily walking through the lights. It is one of my most favorite festive things to do! What makes this season even greater, is that our dating anniversary is at the beginning of December! It is such a great way to kick off the holidays. Usually we do a nice dinner and I think Zoo Lights should be our new tradition! 3. Hosting a dinner party. Usually this is Friendsgiving, but this year because of everyone's schedules, it got lumped in with my best friend Liz and I's annual Christmas Cookie baking day! So for the 4th year, Liz and I will bake Christmas cookies and Ocean Eyes will make homemade pasta and Liz makes her Italian grandma's special sauce! 4. A Christmas-y photo. As a photographer, I cannot pass up Christmas cards! 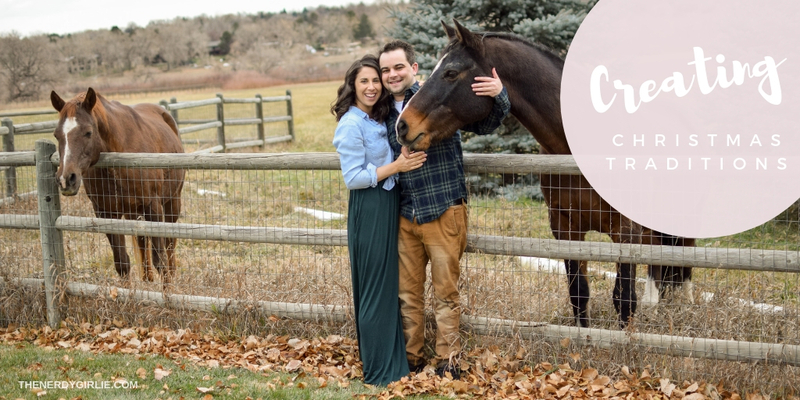 So the easy way to accomplish this is to take our annual photo on Thanksgiving while we are all dressed up, the following day order the cards and by the beginning of December I can send them out! Done and done! 2016 we did our photo on Friendsgiving taken by my bestie Liz, 2017 was taken by my brother JD and this year, I set up the tripod and got the shot! 5. Watching all our favorite Christmas movies. Thanksgiving is my Harry Potter marathon and then the Monday after Thanksgiving we start Christmas movies! So far we've watched: Home Alone 1 & 2, Die Hard, Elf, The Grinch (with Jim Carey) and I watched The Princess Switch on Netflix, super cute. What do you think of Die Hard as a Christmas movie? It is a huge debate! Let me know in the comments below! 6. Christmas music. 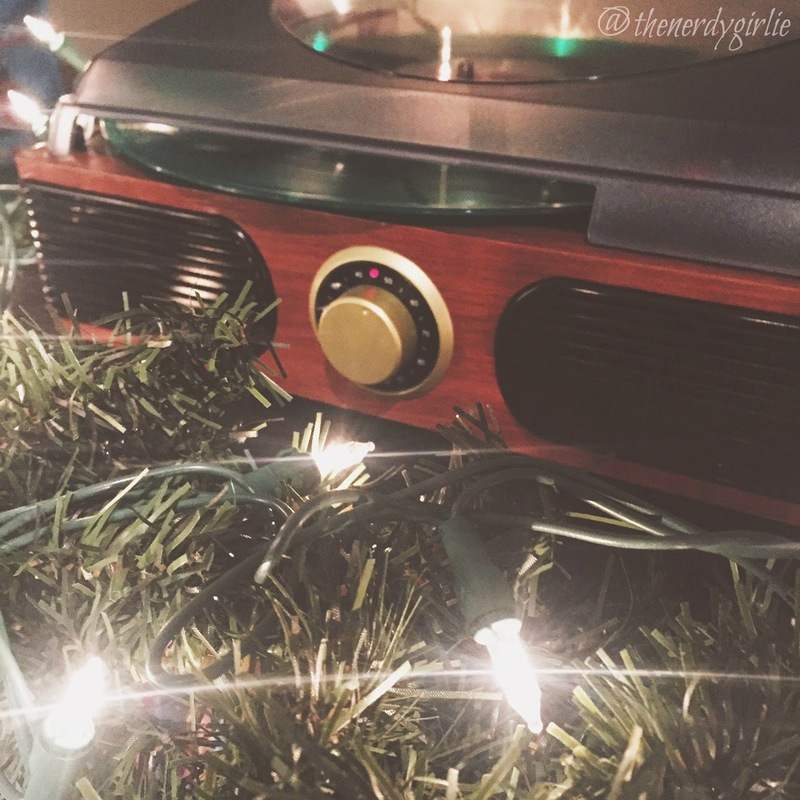 I have a ton a Christmas vinyl records, here is my all time favorite Christmas music + one of the radio stations here in Denver: Cozy 101.1 plays Christmas music starting the day before Thanksgiving! I LOVE driving to and from work listening to Christmas music, it really brings such joy to my day! O.k. now your turn! 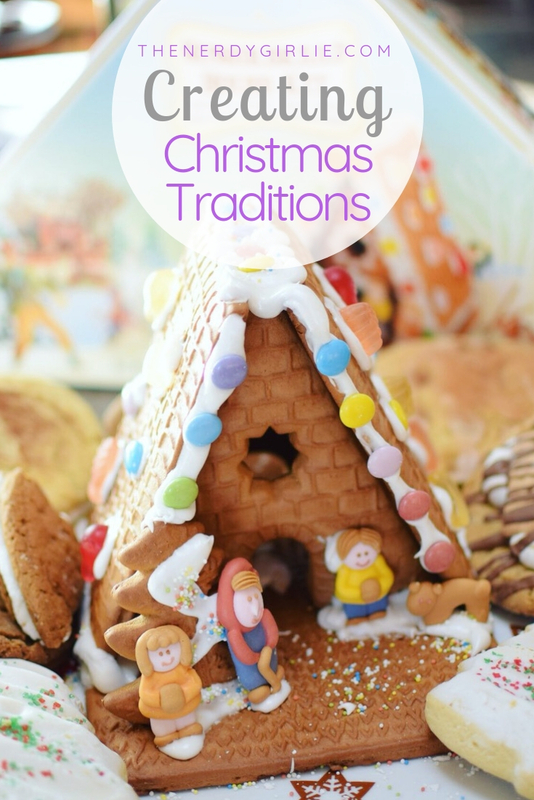 I cannot wait to hear what ways you are creating holiday traditions. 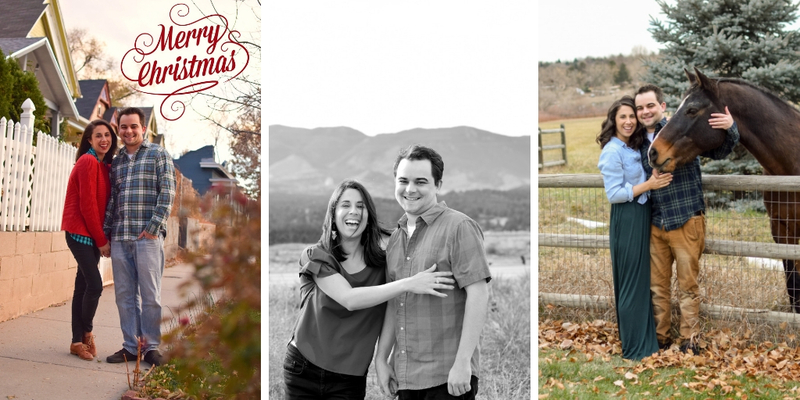 It is so fun to do them each year and look back, especially Christmas card photos! I do love a bit of tangible memories! Share with me in the comments below! Happy holidays friends!! !